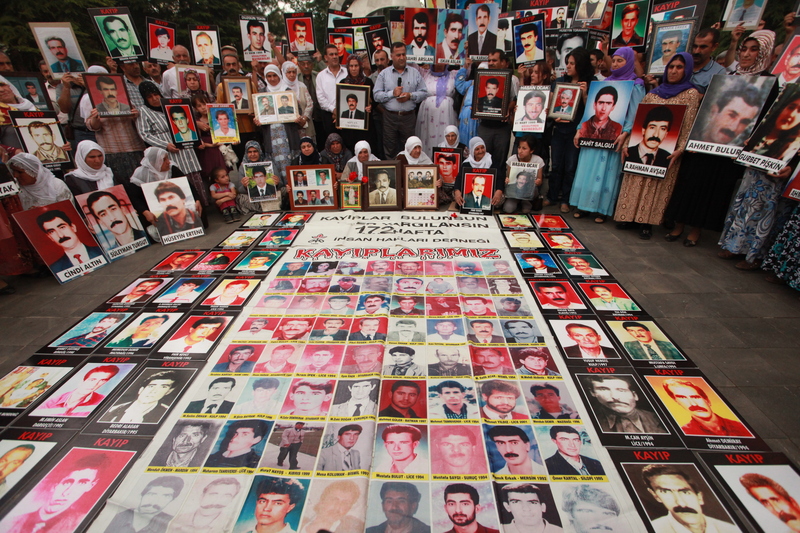 Relatives of the victims of enforced disappearances gathered at Kosuyolu Park in Diyarbakır during the weekly Saturday Mothers (Cumartesi Anneleri) gathering in Diyarbakır holding up photos of their loved ones. Diyarbakır, 2012. Photo: Veysi Atay. Read Civil Rights Defenders latest report A State in Emergency – When Exceptions Become The New Norm which highlights the situation for human rights defenders in Turkey. The continuing state of emergency in the country, and the crackdown on its civil society, has led to the closing of over a thousand associations and more than a hundred foundations in Turkey. More than 150 journalists are currently in prison, and close to 5000 teachers have been forced by the regime to leave their positions. Human rights defenders and journalists who continue their work despite the increasingly pressing situation face the fear of reprisals on a daily basis. Download the report: A State in Emergency – When Exceptions Become The New Norm.